The first quarter of the year is over, and this year I decided to move my reports to a 3 month cadence. 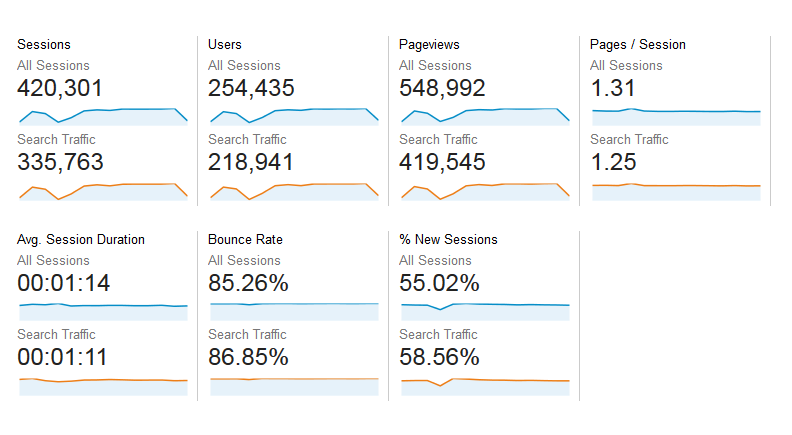 As you can see, January had a couple of weeks with nearly no search traffic. That was because I somehow got the site de-indexed from Google by checking a setting in WordPress. I was also in the middle of some heavy client work, so I didn’t notice right away either. Fun times. All the usual suspects are in there – plus a newcomer – Reddit. I’ve submitted just a few articles lately and most have predictably flopped but a handful actually saw some good traction, which is why Reddit is number 2 here. I haven’t focused on A/B testing and regular optimizations of my funnel lately, so this makes perfect sense. What else has been going on with Baeldung over the course of Q1? A number of thing actually. First – I finally worked with a professional designer to get a more professional look for my “REST with Spring” eBook. It’s amazing to see what an impact design can have when it comes to the quality of reading experience. I have also released my first Youtube video on the Baeldung channel. Certainly not a big splash, and certainly not yet consistently putting out work on Youtube, but it’s a start. Next – webinars. I’ve been reading about webinars forever. I’ve been attending them and getting a lot out of some of them as well. So – why not step out of my comfort zone and host one for something I’m passionate about? With only a few days to spare in Q1, I did that and hosted my first live event on the subject of “CQRS and Event Sourcing Architectures“. Setting up the webinar involves a lot of manual processes (which I’m getting better at) – so that’s not super fun. Delivering the content though – and hearing from the attendees that CQRS finally clicked with them – that was cool. Which leads me to the next and final point – public speaking. I’ve traditionally being speaking locally at Meetups and User Groups, so speaking at a conference is definitely an interesting step up from that. I’ll be closing the first day at Spring I/O with a lot of engineers I admire, which I’m very excited about. And that’s it for Q1 of this year; and of course – a number of things in the pipeline for Q2 and forward.